Well Dressed Dad has been obliquely nagging for a piece to be written about the Clarks Wallabees for a while now. As it is, he is a latecomer to this most excellent of folds having only just purchased his first pair at a ripe old age so knows little more than he likes the look of them and let’s face it, every man should have a pair of these of some description in their shoe stack. 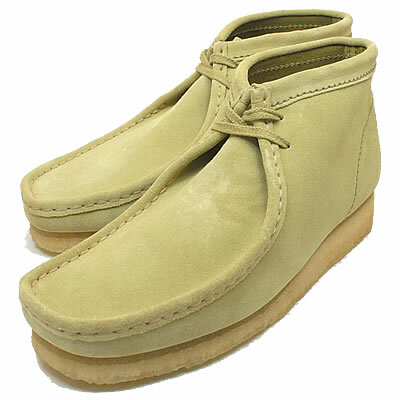 The Wallabee has been produced by Clarks shoes since 1967 and comes in two classic styles – the shoe and the boot. Both are simplicity itself being made out of two pieces of leather or suede in the classic moccasin style, two eyelets and riding on a natural crepe wedge sole delivering a great look with supreme comfort – and while the paler ones may look tatty sooner than you’d like, they are very durable. Clarks have tinkered with the design here and there in recent times and in my view, it’s always been an abortive mistake. Keep It Simple, Stupid. 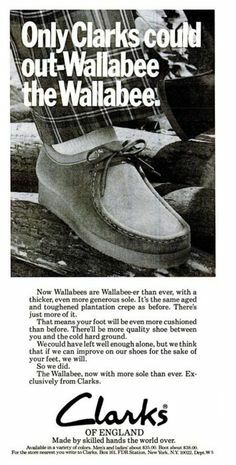 A potted history of the Wallabee goes along the lines (read on if you’re nerdish, by all means skip if you just want to get to the bits about GhostFace Killah and other such luminaries) that a German company by the name of Sioux was producing the shoe in great numbers in the early 60’s and marketing it as “The Grasshopper”. They sold them by the bucket load and Clarks wanted a piece of the action. They agreed a deal with Sioux to produce the shoes in an Irish shoe factory called Padmore & Barnes that they’d recently acquired. The deal was that they would sell it under a sort of license agreement, paying Sioux a royalty on each pair. Clark’s ownership of this was masked and they were instead purported to be made by a company called Moccassin. This was because that Clarks’ MD – who was clearly an idiot – had no faith in these shoes and just couldn’t see them selling. It appears he was right and Clarks had missed the moccasin boat. They sold well to niche sections of the British public but that was about it. Having ploughed a bunch of cash into this they were keen to make a return & looked further afield to emerging markets – the US in particular – to see if anyone wanted to buy their grasshopper shoes. When they got there they discovered that someone else already had the brand name “grasshopper” so they had to come up with a new name. Just how much beer and whisky chasers they had consumed that night to think it was a good idea to name this shoe after a diminutive marsupial is anyone’s guess but they did and to be honest, it is a good name. The shoe sold well and was exported all over the place, becoming an iconic Clarks style along side the Desert boot, the desert trek and the rambler. While I have no love for the desert boot, I’ll always have a soft spot for the rambler but to me the Wallabee is still the consummate Clarks shoe. Looks great with everything from shorts to chinos, from jeans to cords. The Wallabee – apart from the occasional misbegotten capsule collection “adventure” – remains largely unchanged from its initial design in the 60’s. 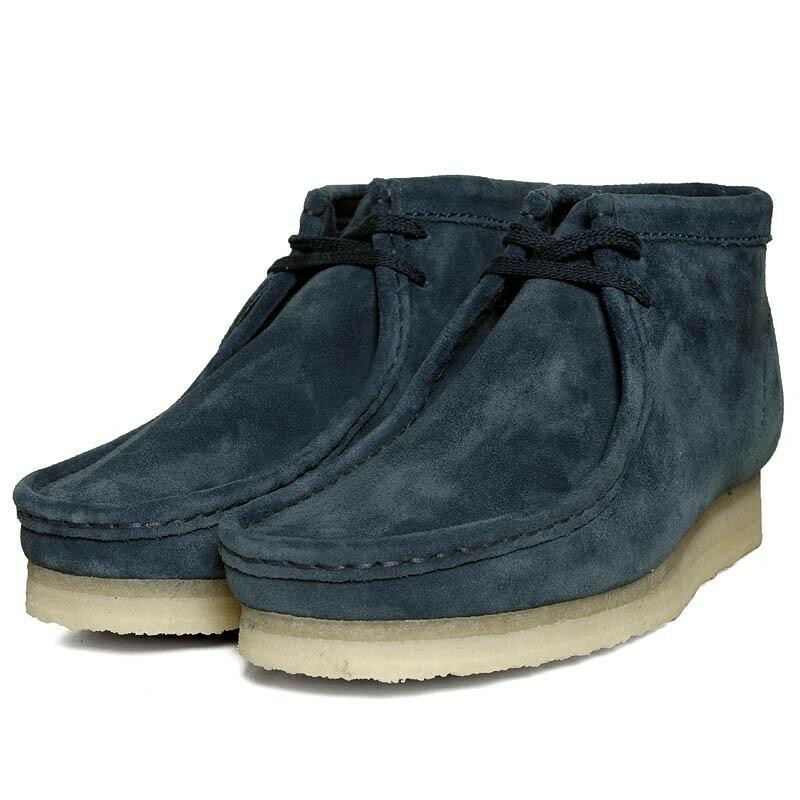 The thought behind this, similar to the equally simple desert boot, is that the cycle of fashion will dictate they are super hot for a few years and super not for a few years – so why cheapen your product with alterations & chase it when you know that it’s only a matter of time before they catch a new generations eye again? Don’t fix what isn’t broken – I like this philosophy – plus I bet it saves a bomb on design costs. A few years ago they did sport a little metal Clarks Originals badge riveted to the outside just below the heel – something I never thought looked good or was even needed (impossible to remove too I can exclusively report) – pleasingly they’ve thought the same and done away with it. The Stateside release Wallabees often feature a Clarks brand tab on the collar of the shoe very similar to a Levi’s red tab. Again, I think this unneeded but if you come across a pair like this, you’ll be able to guess that they are most likely an American pair. The Wallabee is normally made from Suede or leather although there have been many variations on this theme using camouflaged canvas, embroidered silk and so forth. Woolrich did a collab with them last year for instance which featured panels made from the red & black signature Woolrich lumberjack plaid material. The shoe itself is so simple and unfussy it makes a great blank canvas for a collaborative design team to splatter what they want on it while still being immediately recognisable for the shoe it is. The roll-call of brands that have “reworked” this shoe is impressive and while not all have hit the spot, a few have. I am minded of the Uniform Experiment collabs from 2011 – absolute beauties in hand stitched using kid skin or something like that… lovely shoes but catastrophic price points. I’ve always prefer the suede ones and preferably with a solid pale crepe sole as demonstrated above . Over recent years Clarks seem to have disagreed with me on this score and seem to think that darkening the edges of the soles looks better with the darker colourways. It’s not a deal breaker by any means but give me beautiful creamy natural crepe all day everyday. This being said, I have a pair of the oxblood Horween Wallys and they are both leather and have the darkened wedge on the sole and I still think they’re most spanky. The appeal of Wallabees is truly across the board. 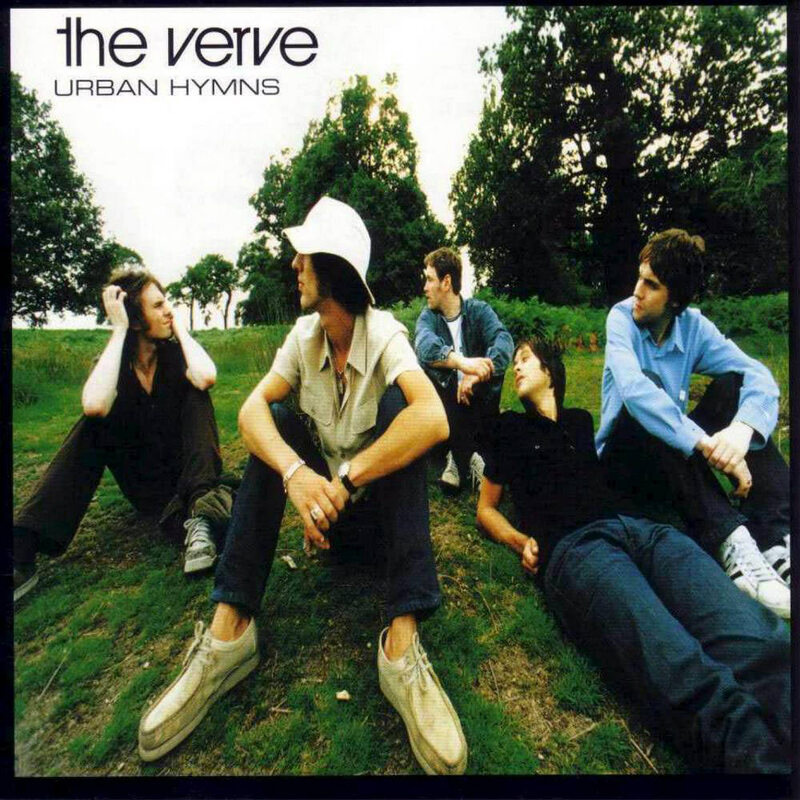 When The Verve released the album “Urban Hymns” in 1997 its cover had many a young man rushing to the nearest Clarks shop to cop a pair of Wallys in maple suede. On the other side of the Atlantic the Wallabee had somehow reached kingpin footwear status among the East Coast rap community, the Wu Tang clan in particular had – and indeed still have – a particular link with the shoe. Why this is I don’t really know as they are worlds away from sneakers which was the break dance and hip hop staple. But, it is. 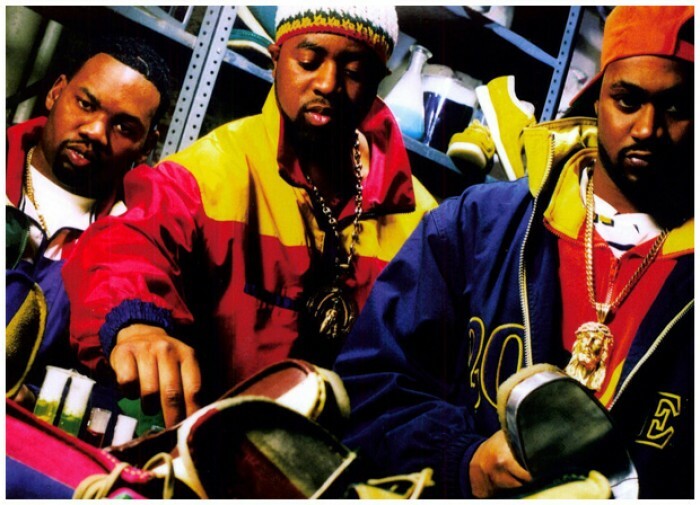 The various members of the Wu Tang have rapped about Wallabees, been photographed wearing them – Ghostface Killah (who indeed is my most favourite member) has even had a record out called “The Wallabee Champ”. They even released their own wally through their Wu Wear label but the less said about that perhaps the better. The masked rap artist MF Doom has recently had his own Wallabee – see eBay for current prices at your peril – which sold out within hours of release. Ah the hypebeasts have found something fresh & new to get excited about . The Wallabee, along with the Desert Trek and the rambler are also well entrenched in the “Hikerdelic” and “Geography Teacher” styles here in the UK; worn with old school Berghaus jackets, elbow patches, the odd woolly hat and lots of cordorouy. It just works and fills a strange hinterland between nerdy middle age comfort and cool. 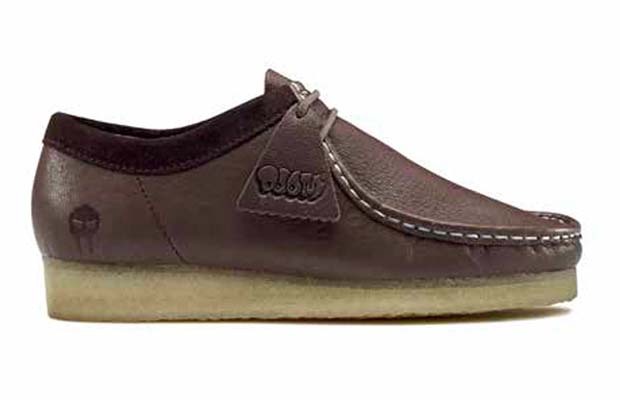 Manchester based clobber merchants Oi Polloi are perhaps a good example of this after their splendid elk skin (promoted as Unicorn leather) Wallabee collab they knocked out a couple of years ago (pleased to say I still have a boxed pair of these totally unworn hidden in my shoe vault). 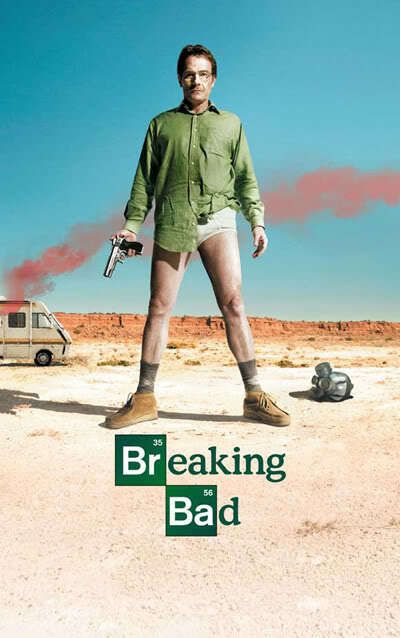 Another fan of the Wallabee is Mr Walter White from Breaking Bad. Whether he’s cooking crystal meth, threatening his brother in law or raking neo Nazis with heavy machine gun fire, old Walt is always rocking a pair of Wallys. Surely a man who knows what time it is. The shoe has come in every colour imaginable over the years – lovely bottle green, buttery maple, baby pink (nah, me neither), browns, blacks, tans, yellows, reds, clarets and blues – so whatever your palette, you will find a pair to suit you. Surely a supremely comfortable & classic shoe for all mankind. Whether you’re desperately trying to make ground creep in the Indus valley sound interesting to a bunch of spotty 15 year olds in a faceless British Comprehensive school, embarking on a rap battle in New York, looking like you’re about to climb scarfell pike in the early 70’s or you’re a sociopathic drug lord on the make – Wallabees have a place on your feet. 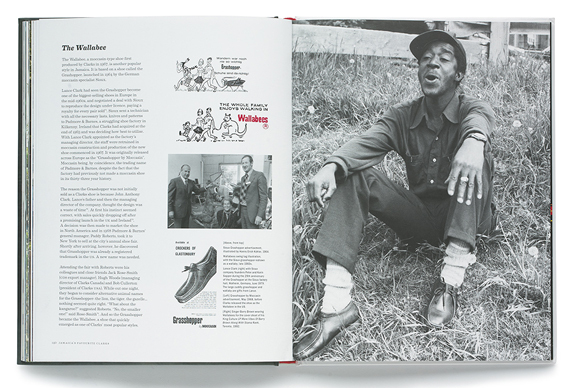 It should be noted that a great source of information on the Wallabee and Clarks in general is Al Fingers excellent book Clarks In Jamaica documenting Jamaica’s love affair with the brand. It features quotes such as “Clarks is the ting, man. Inna Jamaica they just love Clarks. From a baby can talk and you ask him which shoes him like, him a gwaan tell you… Clarks”. And me? I just wear them down the pub mate and try not to get stuff spilt on them. This was a quality guest post by Scratch! Great post thank you. 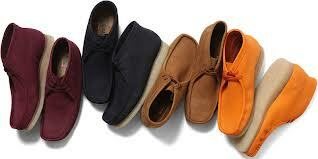 AFAIK Padmore & Barnes are still in business and making their own P204 shoe based on their original Wallabees. Must check them out next time I’m in Kilkenny. Indeed they are. The seaweed green number they knock out is quite delectable it cannot be denied. I’ve never taken the plunge with the P&B gear but it is solid and certainly worthwhile dabbling in by all accounts . Bit more expensive than wallabees but produced in Ireland and a bit more heavyweight too. Either way, nice ’em up I say. there are onky a few brNds that stay thecourse. Clarks and adidas original s, DR martins, tims manage it. Hi bought a pair without the suede tab on my wale eyes disappointed can I buy one anywhere .? No idea, sorry! Maybe you can contact Clarks customer service? Thank you a ton for this article! I really enjoyed it. Wallabees are best shoe on Earth and it was great to learn their history! Pleased you enjoyed it mister. I did notice that FootPatrol in London are currently selling a special collab with P&B. Proper Wu Styling… while I don’t think I could ever wear them, it doesn’t stop me liking them. Great article, now that P&B are back on the scene, are their quality better than Clarks??? Hard to say, I hear good and bad about both! This is no doubt due to the various production facilities used. I believe P&B at least partially produce in Ireland still. Yeah I THINK P&B shoes are made in Ireland or Portugal and Clarks in China? I could be wrong, but I think I will stick with the P&B P404s, they look to me to be higher quality then Clark’s. I know it’s an old article but thought I would just correct something. They didn’t rush out when the Verve cover came out. Everybody started wearing these at the first wave of indie in 90/91. I suppose some newbies might have been drawn to them in the mid nineties (verve/oasis peak) but they were already back in a few years earlier than that. You could get copies on every market stall cheap in the turquoise/maroon/tan colours. Some creams as well. I would bet Richard Ashcroft was still wearing them from back then but they were defo big in the very early nineties in the UK. 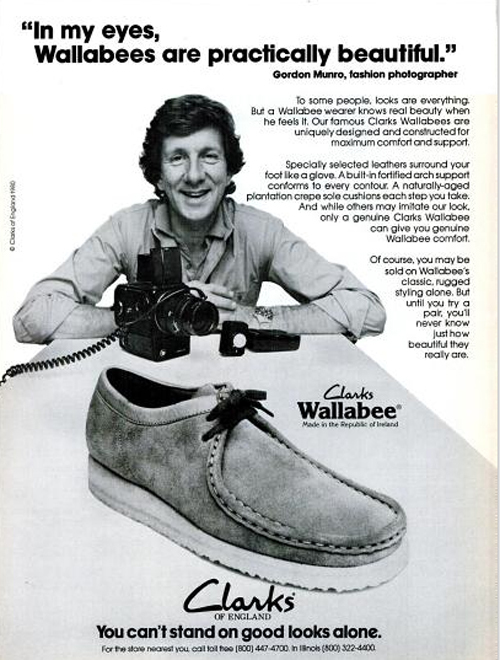 Funnily enough I had never heard of wallabees before this week but have been searching out what we used to call “pork pie shoes” (which it turns out are really called wallabees) because I’m feeling nostalgic at the mo. Just picked up an early stone roses shirt and have plenty of bucket and cargo hats so its just the shoes to get now. Not wearing flares or baggy jeans in this weather. lol. Great article but I feel you missed out on mentioning the importance of the Wallabee as the staple footwear of ravers in the summers of love 1988/89 and in the Acid House rave scene.